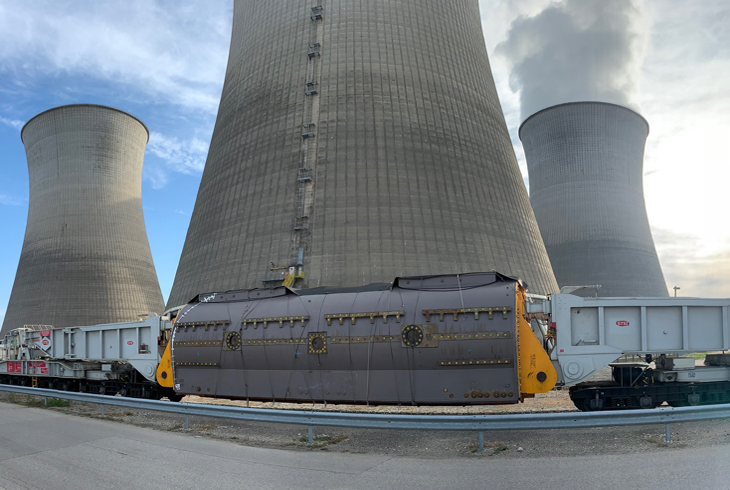 The third 900 MW stator departed Jeumont Electric in Jeumont in September for shipment by rail to its final destination: the Bugey nuclear power plant in Saint-Vulbas in France’s Ain region. At 60 meters long and weighing in at 550 tons, the oversized, heavy convoy was carried out by STSI. It took four weeks for the convoy to arrive on Sunday, October 14 at the Bugey nuclear power plant’s receival bay area before being transferred to the EDF UTO warehouse. A jack system enabled the stator to be turned over in preparation for work to be completed by Jeumont employees and subcontractors in the coming weeks. Each year on average, the Bugey nuclear power plant, with its four 900 MW units, produces the equivalent of 40% of the power consumed in France’s Rhône-Alpes region. 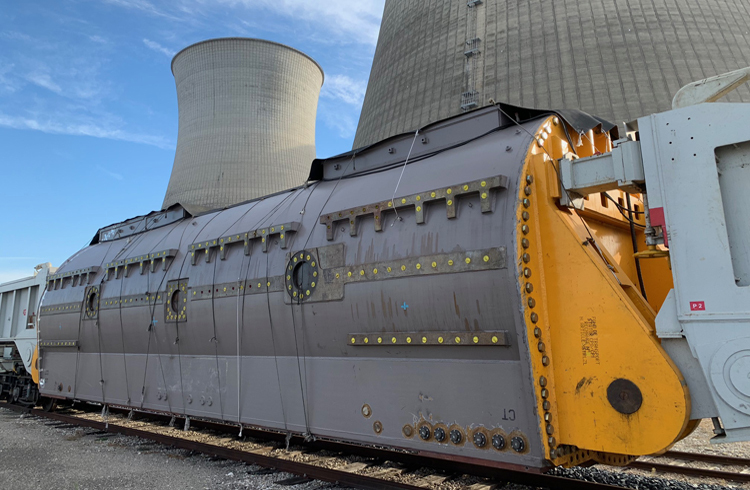 The stator, like the one delivered for the first power generating unit at the Tricastin nuclear power plant, will equip the third power generating unit at the Bugey plant in mid-2019, marking the completion of the main alternator replacement project that began in 2007.